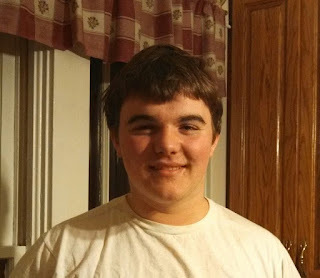 When Gabe was 17 years old, his life, like those of so many teenagers, was focused on finishing high school, playing his XBox, watching TV, seeing movies with friends and (unlike most kids) driving his white '82 Super Sport El Camino. 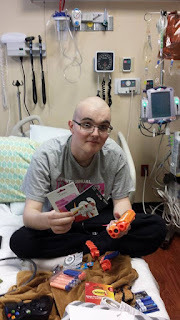 But while taking his final exams during his Junior year he suddenly collapsed at school and his normal teenage life was interrupted by a diagnosis of medulloblastoma - a cancer tumor on his brain stem. Gabe underwent surgery, chemotherapy and radiation and fought his cancer for 15 months before being declared No Evidence of Disease in August 2014. Gabe then got back to continuing his regular life but in May 2015, just 2 days after graduating from St. Xavier High School, Gabe and his family received the news that his follow-up scans showed he had relapsed. Now Gabe is undergoing a stem cell transplant, which is an aggressive and a far-from-easy treatment. 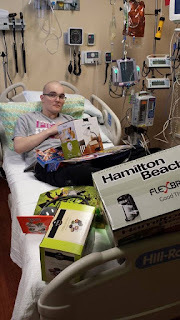 He has received extremely strong chemotherapy, obliterating his bone marrow and immune system, and has gotten infusions of his own stem cells to allow his body to rebuild his bone marrow so he can once again produce his own blood cells and immunity. While his bone marrow regrows, he fights pain and weakness and requires blood and platelets every few days. Gabe and his mom Lisa (who is staying with him in the hospital) were the recipients of our first-ever Hope From Harper Transplant Survival Kit when Gabe was admitted for his stem cell transplant. Stem cell transplants can involve hospital stays that can be weeks (and sometimes months) in length without being able to leave the hospital. Having a few comforts (especially a few things they didn't think of or know to bring with them) can make life a little more bearable during such an ordeal. Their kit was specifically designed based on the tastes, preferences and interests of both Gabe and Lisa. 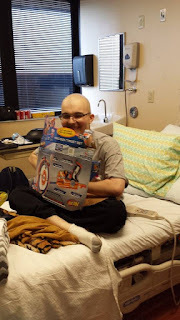 Gabe is now on day +8 of his transplant (8 days after stem cell infusion), with many more to go before being able to leave the hospital and continue recovery at home. 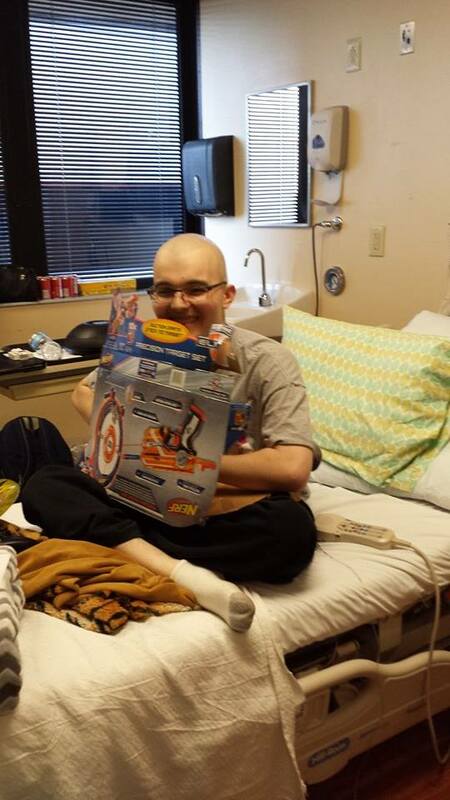 We wish him and his family continued recovery and the end of Gabe's cancer journey. They appreciate your support and prayers. 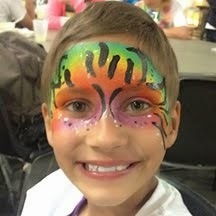 We will be continuing to work toward supporting other kids receiving cancer treatment at Kosair Children's Hospital. Your ongoing support of Hope From Harper make this and other programs benefiting pediatric cancer patients possible. I find this article amusing. There are lots of information on stem cell treatment. There are some experts who are giving stem cell therapy and it is really effective.